I've been so lucky to have the opportunity to capture so many passionate entrepreneurs and small business owners recently! This intro is long overdue, but small business photography is not only another service I've begun offering within the DMV area, it's absolutely a passion project of mine. With a focus on visual storytelling and candid moments, my love of details and capturing an authentic sense of place combine to form an of-the-moment style and aesthetic. What does that really mean? It means I want your passion, creativity, personality and style to be at the forefront of every image. I don't want to capture a professional headshot of you on a static gray background (but if you're looking for that, I have very talented friends that I can refer you to!)... I want you to be in your element. I want your mixing bowls to be dripping and counters to have crumbs on them, if you're a baker/chef (what's up B-More Kitchen crew!). I want your camera in hand if you're a fellow photographer and your colored pencils moving if you're an illustrator! I'll ask you to get your hands dirty if you're a gardener (speaking of, stay tuned for an upcoming post featuring an incredibly talented Baltimore container gardener!) and I'll want your floor covered in wood shavings if you're a furniture maker (hey, Made in Baltimore friends, I'm talking to you!)... you get the point. 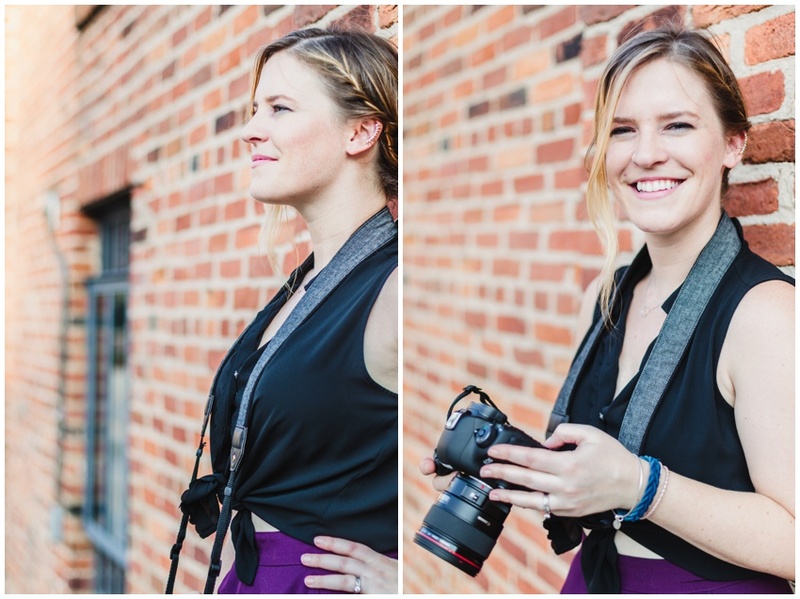 So, when Becky, a marketing consultant, photographer and lifestyle blogger at Our Endless Adventure reached out in need of some fun portraits and lifestyle images, I knew this was going to be an incredible shoot! I remember meeting Becky in person for the first time at a gathering of fellow Baltimore creatives, through our local Tuesdays Together group (part of the larger Rising Tide Society network)... she was so approachable and fun to talk to, knowing of so many unique places to eat, see and enjoy around Charm City. Her passion for travel, city life and creative exploration is unmatched! Oh, and after discovering her love of cheese, I knew we needed to hang out again soon. If you aren't already following along on her journey, you should stop reading this now, and head right on over to her Insta and change that... :) I don't accept any responsibility for being biten by the travel bug after you start keeping up with her adventures! We started off at 3 Bean Coffee and I'm pretty sure we couldn't have chosen a better spot. Just look at how perfectly her shirt, hair and the tones of 3 Bean's interior finishes complimented each other... hellloooo, HAPPY ACCIDENT! For real though, we changed our plan at the last minute due to a crazy summer storm rolling through and I've never been happier that rain changed our plans!! Even her iced tea came along for the amber colored party! Made my "lets coordinate yet try not to be matchy-matchy" photographer's heart so happy. Heading over to Federal Hill park was a fun way to spot all the best pastel colored rowhouses and slow down in the humidity. If you don't already know about the Live A Great Story movement, I love what it stands for. In their own words, it's a "brand inspired by the idea we are all on a journey to live our own story. Regardless of the color of our skin, the language we speak, the part of of the world we came from, we’re all on a life long journey to live our best life… and in that we can inspire those around us to keep moving forward in their own journey." As an ambassador, Becky will share her passion, creativity and positive outlook to spread the LIVE inspiration within her community. I'm not aware of a place that doesn't need positive inspiration, so I'd encourage all of you to consider doing your part to 'live a great story' and share it with the world! We ended at our favorite local museum, the American Visionary Art Museum. 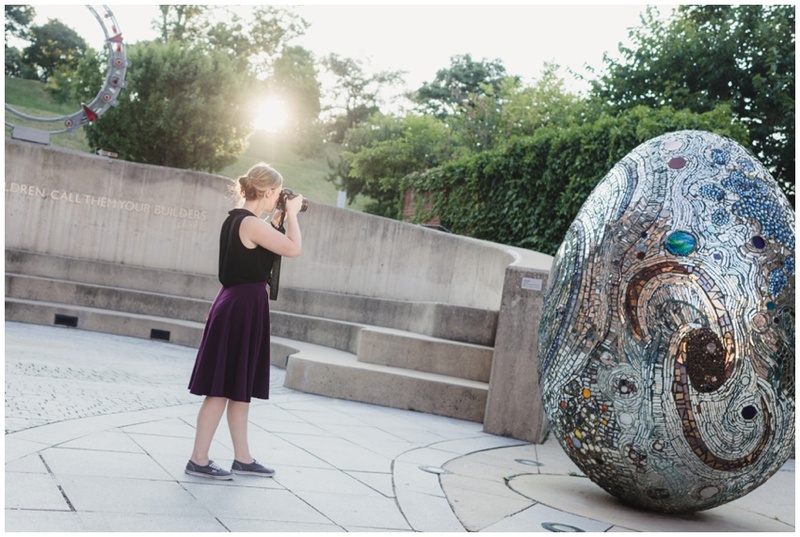 Becky and I both visited AVAM when we first came to Baltimore and fell even more in love with this city after experiencing it. So, it was a natural spot to end our shoot on a high note! Lots more to come for this talented lady - be sure to follow her cross-country road trip adventures in the cutest little camper over the next 2 months! As for me, I'm excited to share more small business photography in the coming weeks! I'd love to capture your passion, your business and your brand. Don't be a stranger... the world needs more of your talent and it all starts with "one good image" (as everyone always tells me that's all they need, lol! ).